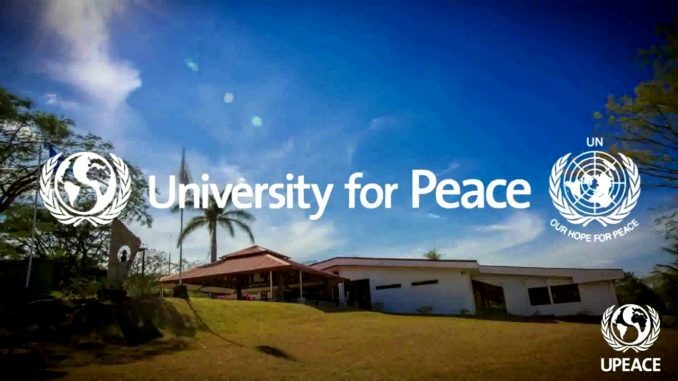 Recognising India as a key player in global efforts for the maintenance of international peace and security, University for Peace (UPEACE), a UN mandated university based in Costa Rica, is planning to set up a Yoga chair. The UN General Assembly, by its resolution A/Res/69/131, proclaimed 21 June as the International Day of Yoga. It recognised that Yoga provides a holistic approach to health and wellbeing. It is noteworthy that the former UN Secretary-General Ban Ki-moon participated in the celebration of the First International Day of Yoga at the UN on 21 June 2015. The theme for the 2017 celebration, organised by the Permanent Mission of India to the UN, was “Yoga for Health”. UPeace, which is also involved in working on international law that would address issues related to environmental refugees or water conflict refugees, wants deeper involvement of India. As a background in September, 2015, the General Assembly of the United Nations adopted a new and ambitious collective global plan of action for transforming the world by 2030 through the implementation of the SDGs. The SDGs, which are part and parcel of the 2030 Agenda, replace and build upon the previous Millennium Development Goals (MDGs) which ran their course in 2015. The advancement of the SDGs over the MDGs is not only in its scope — there are now 17 Goals as against the previous 8 — but also in some of the known structural shortcomings in the design of targets and indicators of the MDGs. The 2030 Agenda calls for a convergence around the SDGs of responses to several contemporary issues of global concern, whether related to climate change, human rights, peace and security, gender equality, migration, safe cities, rule of law, good governance, education, health, multilateral trade, investment, amongst others.